to do under the rigours of everyday use, it could save a life. protection and ear protection are all included in our range of PPE. “Be seen be safe” is a true but well known saying and no compromise can be made on quality and suitability when it comes to High Visibility clothing. 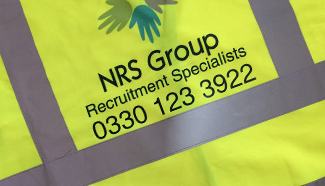 But it still gives you the opportunity to print or embroider your logo and/or company message onto your Hi Viz garments to ensure that your customers know who you are and are aware of your brand when you and your employees are on site. Our range of Hi Viz products meet all relevant EN standards and include Hi Viz vests in large variety of colours , Hi Viz Tabards, jackets, trousers and polo shirts.